A heatwave mixed with rain made our henhouses reek, which motivated me to test various treatments to control coop odor. See which won. The recent scorching heat in the Midwest combined with days of constant rain resulted in dozens of unhappy chickens at our farm. Their antics as they stepped disdainfully around the puddles, seeking their favorite shady spots, kept us in stitches for weeks. Not as amusing, unfortunately, was what this combination of high temperatures and humidity produced. The extreme temperatures and the excess moisture in the air hastened the decomposition of the droppings inside our coops, creating a most unfortunate odor that all of the ventilation openings could not fully dispel. Frequent removal of the soiled litter relieved the stinky situation only for a short time. We had to find a more permanent solution before the stench—and our sons’ complaints—became unbearable. Butters & Co. would serve as my Control Group—er, Control Coop. Absolutely nothing other than regular upkeep would be done to keep this henhouse clean. Jefferson and his ladies would be Treatment Group 1. I would treat their coop with a homemade deodorizer. This powder features equal parts baking soda, diatomaceous earth and crushed limestone. Baci and his tribe would be Treatment Group 3. 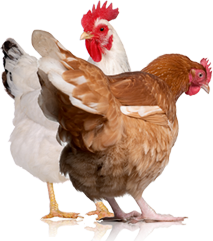 I would treat their coop with Sweet PDZ Coop Refresher, nontoxic, all-natural silicate granules that refresh coops by absorbing moisture. In each of the treatment groups, I applied the odor eliminator the same way: liberally sprinkled over the surface of the coop litter without mixing it in (the birds would do that on their own). I reapplied the mixtures in the same manner every five days for 15 days, noting when foul smells became pronounced or unbearable. On Day 21, I cleaned the coops and noted which reeked and which didn’t. My observations and results are as follows. All four coops were rather malodorous, thanks to the weather. I left the Control Coop alone, other than adding an inch of fresh shavings. Groups 1 through 3 also received an inch of fresh shavings as well as their individual treatments, which were generously strewn on top of the fresh bedding. The chickens were very curious and popped their heads through the pop doors to investigate. Claude, Butters and Selene in the Control Coop just stared dolefully from their side of the run fence. The fresh shavings in the Control Coop were soiled and slightly damp, but the odors were nothing out of the ordinary for a henhouse. The shavings in Treatment Group 1, which got the homemade deodorizer, were kicked around but still mostly clean and dry. No smell of any kind was detectable. Treatment Group 2, which got the Innovation Pet flakes, was similarly clean, dry and odorless; unlike their parents in Treatment Group 1, the younger Ameraucanas of the second group had kept their litter in place. In Treatment Group 3, which got the Sweet PDZ, the Anconas had slightly soiled their litter, but there was no dampness at all. There was a fragrance, however, that reminded me of a freshly cleaned chalkboard. It was odd, but much better than the alternative. I reapplied deodorizing treatments to all but the Control Coop. The Control Coop’s shavings were now damp and indistinguishable from the older coop litter. The odor of droppings was more prevalent, but there was no ammoniac smell. Treatment Group 1 had a faint droppings smell, and the litter was slightly soiled. Groups 2 and 3 had no smell, although the litter was slightly soiled. I again reapplied deodorizing treatments to all but the Control Coop. The Control Coop’s litter was a dirty, decomposing mess. The funk was as foul as on Day 1, with a slight tinge of ammonia. Treatment Group 1’s litter remained slightly soiled, but the faint smell of droppings had not compounded. Group 2’s litter also remained slightly soiled; no smells were detectable. Group 3’s litter, like that of Groups 1 and 2, was slightly soiled. The clean-chalkboard smell was the only detectable aroma. Again, I reapplied treatments to all but the Control Coop. I’m sure Butters and her Orpington buddies were happy to see me arrive with my hard rake in hand. Their Control Coop stank to high heaven, although the ammoniacal smell remained slight. Given that I usually provide an inch of fresh shavings each week—a practice I suspended for the duration of the experiment—the Control Coop inhabitants were probably relieved that their home was back to normal. Group 1, the Ameraucana coop, was nowhere near as bad as the Control Coop. The stink of droppings was somewhat stronger but not overwhelming. There was no ammoniacal smell. As for the shavings, they had definitely seen better days and were slightly damp, but they were not yet disintegrating and decomposing. The litter in Group 2, the New Ameraucanas, finally gave off a detectable droppings odor, but it was insignificant and not at all out of line from how one expects a chicken coop to smell. The shavings, while not damp, were just a bit dirtier than before. The coop of Group 3, the Anconas, retained its clean-chalkboard smell; there was absolutely no smell of decomposing droppings or shavings to be noted. Like Group 2, the shavings were just a touch dirtier but were not damp, filthy or beginning to decompose. I had not expected my homemade deodorizing blend to work as well as it did. I was amazed at how effectively it worked. 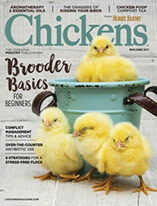 For backyard microflocks—one to four hens, for example—this odor fighter might be your best bet, as baking soda is readily available at the supermarket while crushed limestone and diatomaceous earth can be found at your local home-improvement center. For larger flocks, continually combining the three ingredients in equal parts might well become tedious. I was also pleasantly surprised that the Coop Flakes performed so well in the New Ameraucanas’ coop. This mixture of wheat bran, blackstrap molasses, purified water and a proprietary blend of naturally occurring probiotics definitely extended the life of the coop’s litter and helped keep the smells at bay. 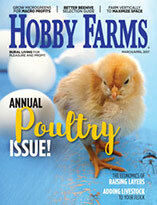 Coop Flakes are available at farm-supply stores; it is also available at the Innovation Pet website for $29.99 for a 4.5-pound bag. The results led me to choose the Sweet PDZ Coop Refresher, however. I was impressed with how it controlled dampness and odor in the Anconas’ coop, and its cost effectiveness—$16.95 for a 10-pound bag on Amazon—makes my wallet happy. All of our henhouses, including our main Orpington coop, which sat out this experiment, are now outfitted with fresh shavings treated with these absorbent granules. The weather might still be sweltering and the humidity might continue to be high, but our coops will now be fresh as daisies—or at least clean chalkboards.